Step back in time and enjoy brunch and a stroll around this lovely 17 acre automotive history site right here in Shelby Township. 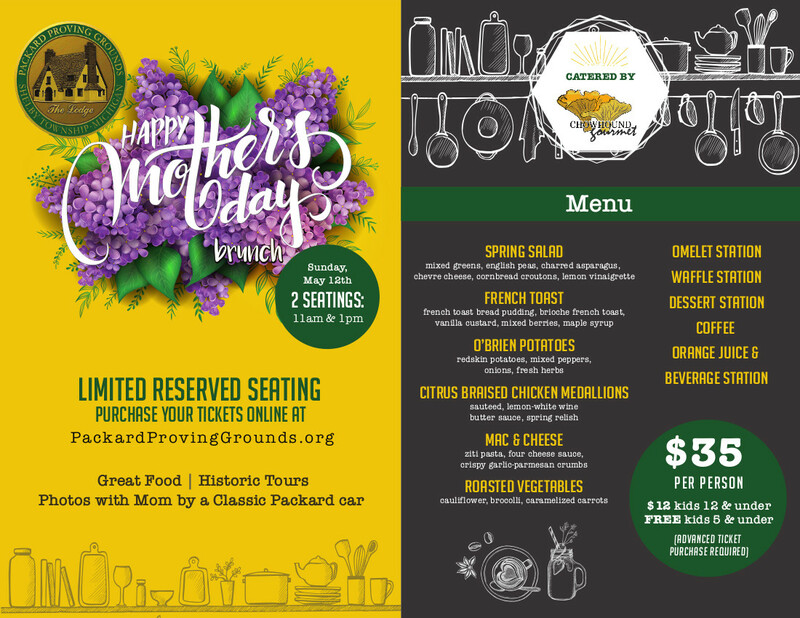 Join us for the 3rd Annual Mother's Day Brunch at the Packard Proving Grounds Historic Site - food provided by Chowhound Gourmet plus historic tours, rides in a classic Packard car and get you picture with Mom in this vintage setting with circa 1928, Albert Kahn designed buildings. Bring your favorite Mom out to celebrate Mother's Day in a historic way!